The CHI1550A solution dispenser is designed for making high density and high accuracy solution arrays, which can be used in chemical, biological and medical applications. 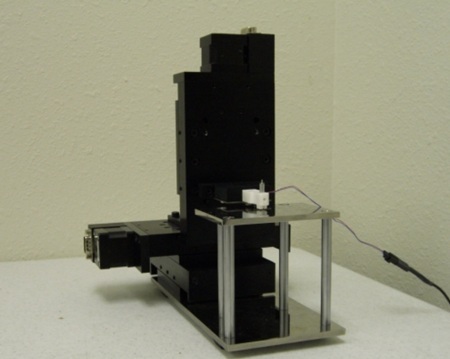 The solution dispenser consists of a high-resolution three-dimensional positioner, a piezoelectric jetting device, and a sample platform. The diagram is shown in Figure 1.